The North Pacific humpback whale is no longer protected as a "threatened" species after the Canadian government quietly downgraded its classification earlier this month. 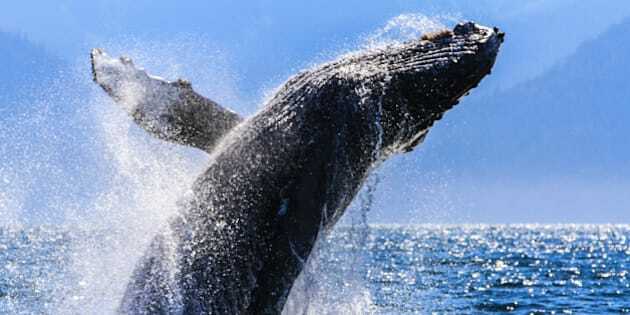 Despite objections from several groups, the Harper government declared the humpback a "species of special concern" under the Species at Risk Act (SARA). The whale population off the B.C. coast has increased "significantly" since it was first listed as threatened in 2005, so it is now at a point where it can be reclassified, according to a federal government notice in the Canadian Gazette. The change is being made as two major pipeline projects are in the middle of regulatory applications. Approval would increase vessel traffic, which collides with humpbacks about three times a year in B.C. waters. Environmental groups have argued against the proposed Enbridge Northern Gateway pipeline, saying potential spills, noise and tanker collisions would pose a major risk to the whales. Similar concerns have been raised over the expansion of the Kinder Morgan pipeline to Burnaby. With the reclassification, the humpback whales are no longer subject to "general prohibitions set out in SARA nor would critical habitat be required to be legally protected under SARA." The whales' critical habitat, where they feed and raise their babies, currently includes areas near Kitimat, B.C., the proposed western end of the Northern Gateway. The decision "has absolutely no basis in science and is simply a political move to clear the way to approve the [Enbridge] pipeline," Karen Wristen, executive director of the Living Oceans Society, told CBC News. The feds sent out 312 consultation letters and received 22 responses, reported The Vancouver Sun. Thirteen were opposed to the new designation, while five — including two B.C. government ministries and a tourism group — supported the change. Ottawa is expected to announce a decision on Northern Gateway in June.